This month L.T. does the Q&A thing with fitness model and TV star T.J. Hoban. Though he’s best known as “Rex” on “It’s Always Sunny in Philadelphia,” the man has a jacked physique that’s getting notice as well. This month L.T. does the Q&A thing with fitness model and TV star T.J. Hoban. Though he’s best known as “Rex” on “It’s Always Sunny in Philadelphia,” the man has a jacked physique that’s getting notice as well. In this entertaining interview, he reveals his body-carving secrets along with his insider look at the art of acting with muscle. 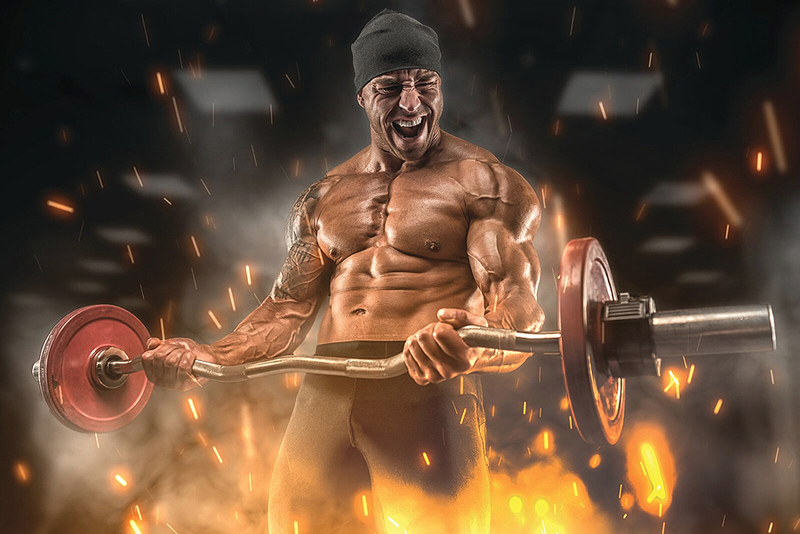 Then, Ellington Darden, Ph.D., continues his look at slow-mo negative-accentuated training—specifically, how to use it to get ripped quicky. And if you’re looking to build your best chest, Roger Lockridge lays out the amazing 15-minute pec pounder. Steve Holman checks in with bodybuilding protégé Jordon Williamson, about his current training and issues a warning about the dangers of muscle imbalances. Lonnie Teper gets the full story from TV star T.J. Hoban on how he went from runt to ripped to Hollywood hip. A tribute to the first Mr. Olympia and a legendary bodybuilder from the Golden Age. Thanks for the memories. Joe Klemczewski, Ph.D., a.k.a. the Diet Doc, delves into the controversial subject of meal timing. Can a fast produce a fat-loss blast? Hmm. Ellington Darden, Ph.D., continues his research analysis on slow-mo reps with negative emphasis. Unreal results! Lots of before and after pics here. Roger Lockridge outlines a 15-minute pec pounder for building your best chest. What was your excuse again? Ron Harris gets in your face about shirking your workout responsibilities. Don’t play the blame game; that’s lame. Natural physique sensation Sonny Brown shows you how to get your shoulders big and round. Words of wisdom from James Edge: Keep your chin up to beef up your biceps and stretch those shirtsleeves. IFBB bikini pro Camile Periat rocks a body that’s going places—and she’s loving the journey! Should you be training as much as the pros? Also, two unique rest/pause methods to try for insane strength and size. Jerry Brainum gets down to the nitty-gritty on the protein limit for building muscle. Plus, Paleo, Primal and traditional diets. IFBB pro Ben White talks treadmills, cardio and off-season mass. Coach Charles Poliquin discusses antagonistic supersets. Vince Del Monte, the Skinny Guy Savior, outlines constant-tension timed sets to get you growing big time. Jerry Brainum explores insulin’s role in adding bodyfat and packing on muscle. L.T.’s adventures at the ISHOF induction—plus the latest doings and newest rising stars from the world of muscle. Tony DiCosta discusses the power of prime-time vision. Coach Bill Starr touts railroading—one trip down the rack you don’t want to miss. Also, Ruth Silverman celebrates a Fitness Throwback Thursday. Super Dave and the bodybuilder’s bodybuilder.